Visions of a robotic future from the past and present. Film program curated by Peter Morse. 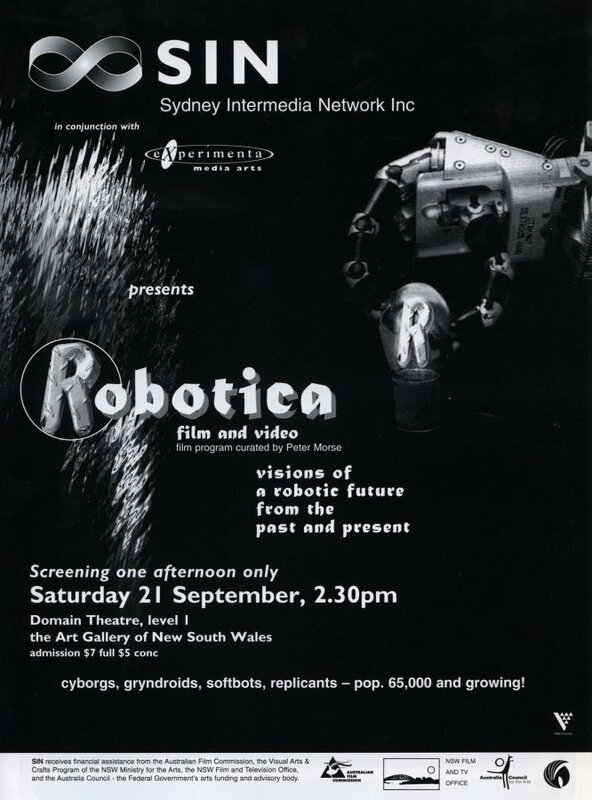 Presented by Sydney Intermedia Network in conjunction with Experimenta Media Arts.